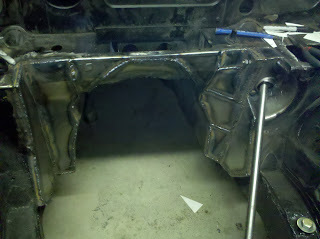 The firewall had to be modified to fit the 302, this required A LOT of MIG welding. 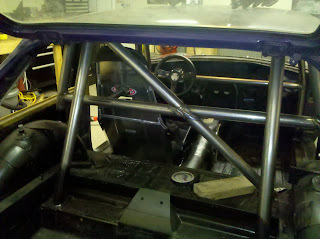 Also in the picture below you can see the steering shaft in place. 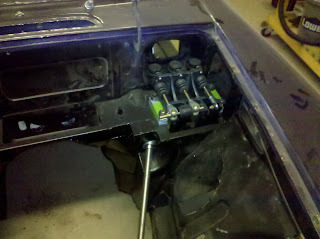 With the new steering column I was able to redo the header on that side. 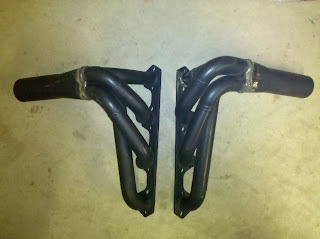 The original header I built had a significantly reduced cross-section in the back cylinder header pipe because of the stock steering column. Now it shoots straight out and down the tube. 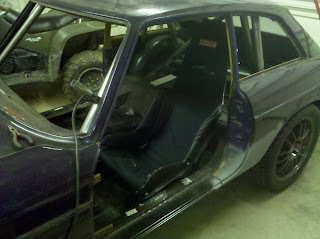 I originally purchased two fiberglass racing seats and have be trying to get them in a position that I liked, but it just wasn't happening. I purchased a Kirkey aluminum seat to see how it would work. I love it. I purchased a mate for the passenger seat which will be here any day. 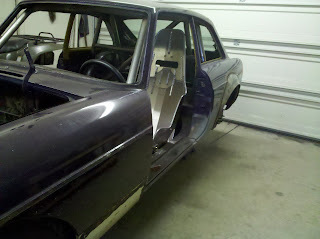 To fit the 255 40 R17's in the rear the fenders must be flared. 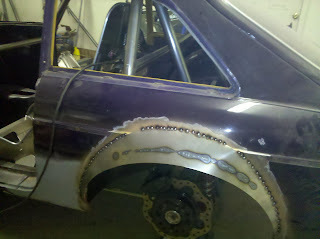 When I designed my axle in the rear I made it as narrow as possible to use as much of the wheel well as possible but I still needed another 1.5 inches. Here is how I did it. For the brakes I got a Tilton pedal assembly. I measured from my heel to the ball of my foot and then mounted the pedal box up to place the pedal pads at that distance. Thats it for now, more to come though. Dude, that is amazing. 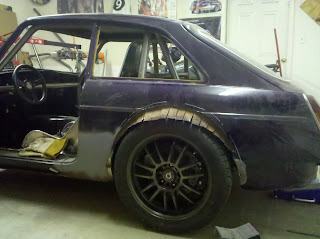 I'm particularly jealous of the firewall, Tilton assembly, and fender flares. How exactly did you make the flares? Is that fanned metal welded to the formed flares from behind? 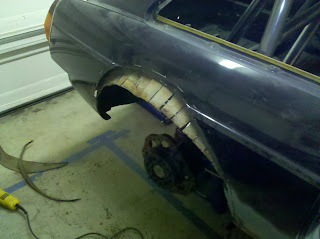 I fanned the sheet metal from the inner fender well into the sheet metal flare and then welded it from behind. 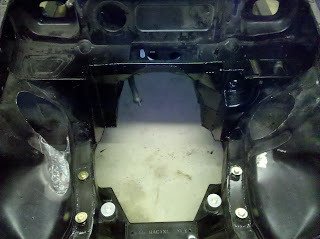 The idea was to retain the strength of the unibody. Im going to fiberglass the gaps from the fanning in the inner wells to make them water tight. 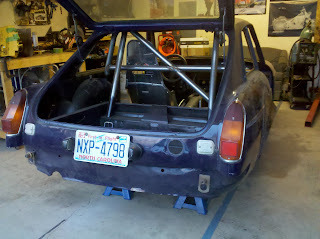 I made the flares by first welding a wire skeleton onto the fender then cutting out poster board paper to the shape I wanted. 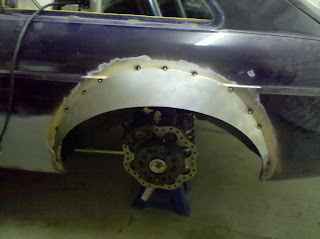 Then I traced that on to the sheetmetal and nibbled them out. These pictures don't do the flares justice they came out amazingly alike. Wow, nice fab work! Keep it coming, can't wait to see it finished!